This is the third blog post of what I hope will be a very long series. Even in just three years it is fun to go back and read the past yearly entries (year 1 and year 2). I am sure I will enjoy reading back over 5 and 10 of these yearly reports. This report marks the end of the third year of the lab. I have to stop thinking of how quickly a year goes by. We will have a review in March 2017 that will likely dictate our extension after the first 5 years and if extended the group has then an additional 4 years before having to leave the EMBL-EBI (after a maximum of 9 years). During the third year we said goodbye to Juan A Cordero Varela (master student, linkedIn). Marta Strumillo, that was doing an internship, stayed on to do her PhD in the group. Towards the very end of last year we were joined by two additional postdoctoral fellows, Bede Busby and Cristina Vieitez. As I had mentioned last year they will be working at the Genome Biology unit in Heidelberg in a close partnership with Nassos Typas' lab. Bede and Cristina are setting up yeast genetics methods to study protein modifications. This year I also started a blog series on our group members and I will try to get everyone to participate. At least for one year I have let myself apply for fewer funding opportunities. The group has now 12 members with one additional person joining this March. I am not sure what is the best strategy to manage the size of a group. Most grants and fellowships have very low success rate (10% to 30%) and if the objective is to maintain a specific group size then one would have to be very lucky to get just enough funding to stay at steady-state. I suspect that many group leaders just keep applying to all available funding and let the group size increase and collapse according to the success of the applications. I would be curious to hear from others what their thoughts are on this. My current impression is that somewhere between 5-15 people is a manageable and efficient group size but does anyone limit growth to stabilize group size ? As described in the first year report, we don't have lab space at the EMBL-EBI. To be able to have access to lab space my initial solution was to co-supervise group members with experimental groups. This has been useful, particularly in creating closer collaborations with some of the groups involved. Haruna and Brandon have worked with Jyoti Choudhary to have access to mass-spec instruments. 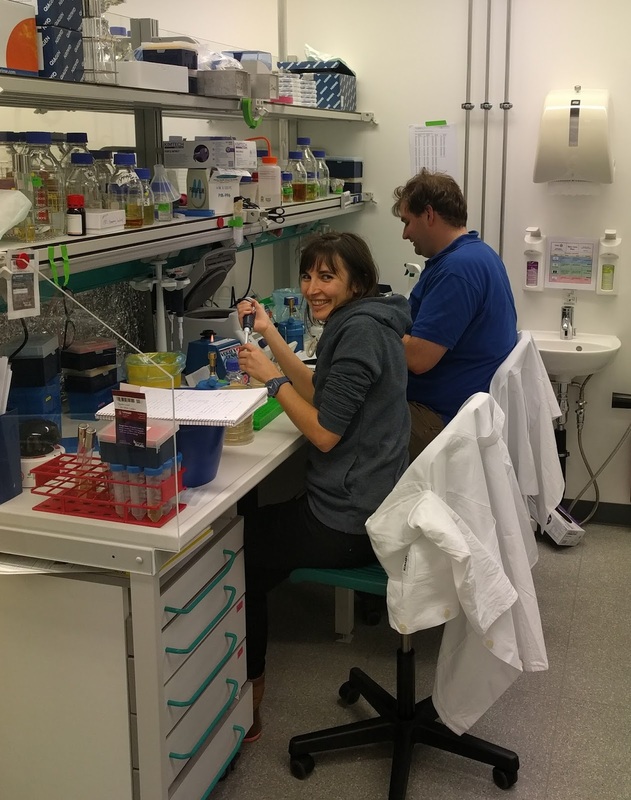 Sheriff has been working in London in the lab of Silvia Santos where he has contributed to some microscopy experiments and Marco spent some time in Nassos Typas' lab learning how to do chemical genetic screens. In all of these projects the group members are spending >50% of the time analysing the data. Bede and Cristina will be the first group members that will be primarily dedicated to experimental work, although I am sure they will also have an opportunity to further develop their computational skills. So far, these arrangements have been working out scientifically. However, I am now sure that, when I move out of the EMBL-EBI, I will aim to have access to lab space. As I had mentioned in the second year report, I am no longer working on a research project myself. I had two periods of time last year where I emptied my to-do list but it didn't stay down long enough to be able to pick up a project. I am more at ease with the management role in the sense that I have convinced myself that it is actual work. It took me a while not to feel guilty about just doing management tasks. 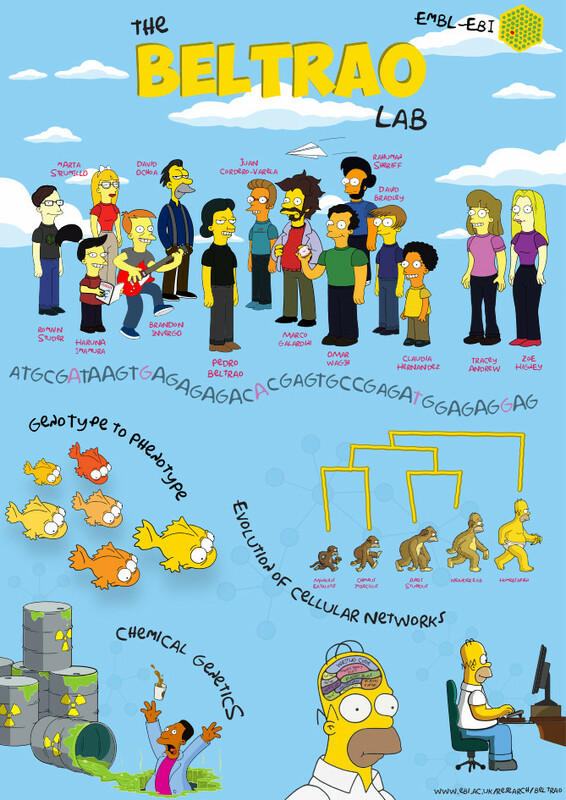 It is actually great to be able to help guide the flow of the projects of all of the lab members. From the inception, through the initial stumbles, turns in direction, building up the promising results, up until there is enough progress to be worth communicating it. This also means deciding to quit an idea when the research direction is no longer promising. In this process of managing a large set of projects I have felt a very clear temptation to focus on the publishable units as the outcomes. Although science is nothing if not communicated there is a risk of losing track of the priority of moving science forward. Asking questions and gathering evidence happens always in a scientific context. This context or story is also important for properly communicating your results to others. The problem is when the focus shifts too much into thinking about what are the experiments that are needed to write a paper instead of what are the best experiments to answer the scientific question at hand. These two things are hopefully aligned but the publishable unit should not be the goal in itself. In the past year I finally managed to publish the last papers still involving my postdoctoral lab. The two articles reflect the two strands of research in our group. One paper describes a set of phosphorylation sites collected for X. laevis and an analysis of its conservation and structural features. We found that the degree of conservation of phosphosites and putative kinase-protein interactions is predictive of functionally relevant sites and interactions. We also describe a potential way to identify PTM sites that may control protein conformations. The second article is a large effort to identify conditional genetic interactions in S. cerevisiae. The main message of that work was that there is a substantial amount of genetic interactions that are condition specific. These conditional genetic data allowed us to identify novel roles for yeast genes in the cell wall integrity pathway. Besides these studies we also published the first articles from work that was started within the group. I mentioned before Omar's method to predict kinase specificity from interaction networks. In addition to this we also published a news and views article highlighting recent work from Stelzl's lab and a review on the feasibility of using rational design strategies to create novel PTM regulatory sites in proteins of interest. I was anxious with the time it was taking to get the group to this point. Three years to have research outputs coming from the group feels slow but when talking with others it is apparently not unusual. We have two additional manuscripts that are now making their way through journals. David's project on a map of human signalling states based on conditional phosphoproteomics data and Romain's phylogenetic based analysis of fungal phosphorylation sites. I am personally very much in favour of preprint servers. Although I think I have been ahead of others in suggesting the use of preprints in biology (blog post 2006) I have been slow to actually do it. My current policy in the lab lab is to first ask the authors in the group if they want to submit and then make sure all collaborators are ok with it. Unfortunately, so far, there was no consensus among the authors. I will start to push more strongly for future manuscripts to be submitted to preprint servers. When possible, we will also experiment with making a projects's data and initial analysis available online before the preprints.